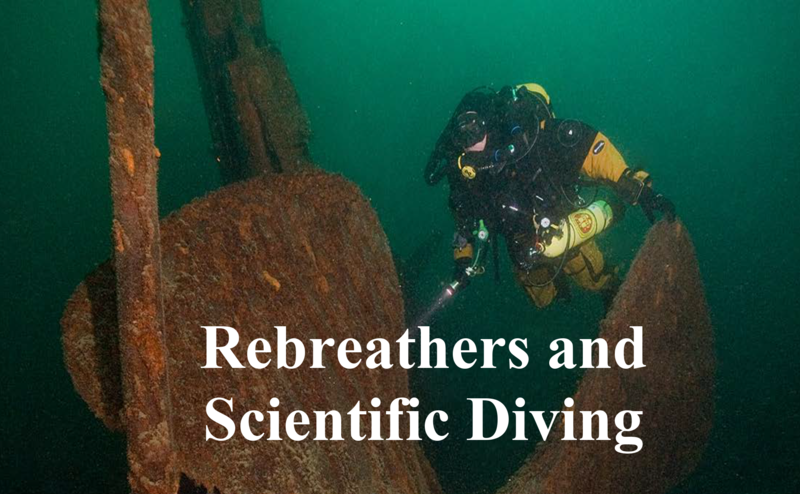 In February 2015 the scientific diving communities got together to discuss and formulate best practice guidelines for the use of rebreathers for scientific diving. The meeting was first proposed by the National Park Service (NPS), then quickly supported by National Oceanic and Atmospheric Administration (NOAA), Divers Alert Network (DAN), and the American Academy of Underwater Sciences (AAUS). A number of key experts were involved in the Catalina Island event including Jeff Bozanic, Simon Mitchell and Richard Pyle. Over the course of four days standards relating to practice, physiology, incidents and equipment evolution relevant to scientific diving with rebreathers were reviewed. The primary goals were to enhance cross-agency communication and to produce a best practices template available to the community. The proceedings document includes papers covering most of the delivered presentations, the discussion following each presentation, and open discussion to develop best practice recommendations. The sessions were captured by a court reporter, and the discussion (and manuscripts) edited by Neal W. Pollock, Steven H. Sellers, and Jeff M. Godfrey, with assistance from many of the workshop participants. The recommendations, which you can download for free, are not exhaustive, nor do they cover all applications. They do represent an effort to review and strengthen best practices.